Paris is ripe with iconic art, architecture and historic landmarks, including the impressive Notre Dame Cathedral. Its French Gothic details, stunning rose windows and 7,800-pipe organ attract visitors from around the globe each year. And while it’s definitely worth the wait, skip-the- line options ensure travelers who are tight on time can make the most of their visit. 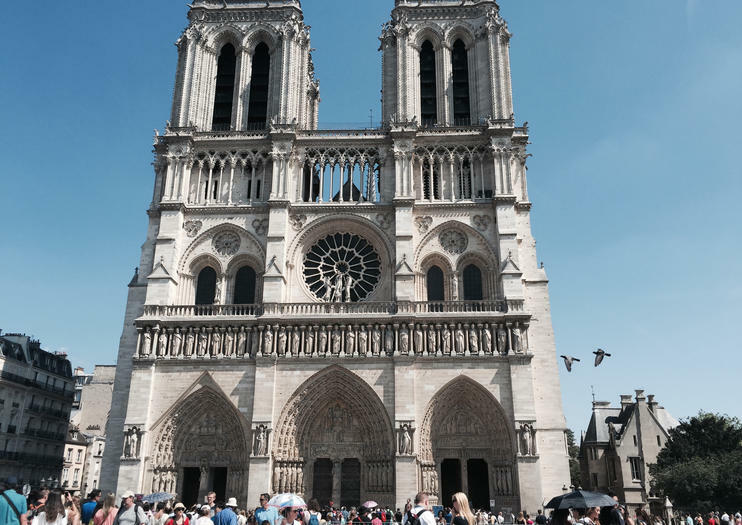 Here are a few ways you can skip the line and mosey right on into the Notre Dame Cathedral. Although Notre Dame’s stunning architecture is worth checking out any time of day, travelers who choose an after-hours tour can skip the line and avoid crowds all together. Check out stunning views of the Paris skyline without having to maneuver through throngs of people. For travelers who want to see it all, many city tours and bus passes include a stop at the Notre Dame Cathedral — in addition to visits to Paris’ other top attractions — and offer a skip-the- line option to maximize time.